The Madness of March usually dies down in the SECOND week when the TRADITIONAL powers of College Basketball, start dominating the tournament, but yesterday we saw THREE teams advance to the Elite Eight who are FAR from being a Traditional Power. 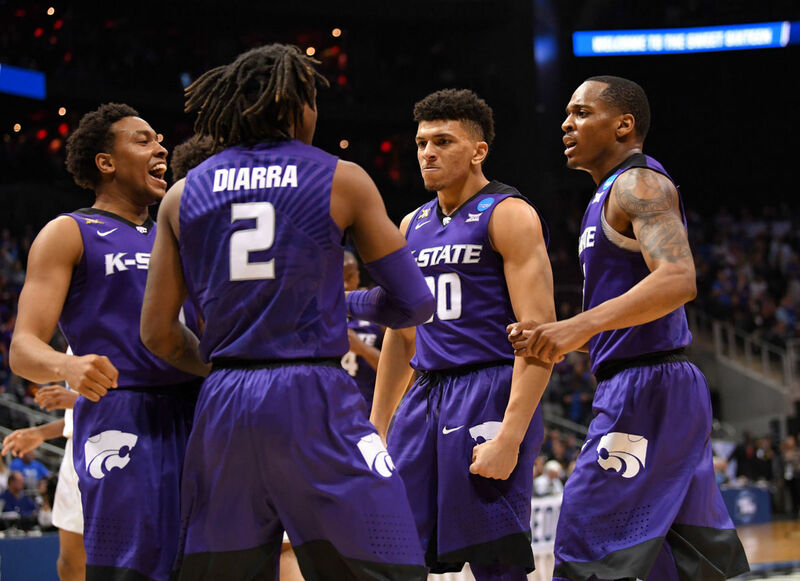 Loyola-Chicago continues its CINDERELLA run and has a chance to be on a SHORT list of double digit seeds making it to Final Four, while Kansas State and Florida State are looking to be a NINE seed into the Final Four. In the fourth game of the tournament, we saw Michigan DOMINATE Texas A&M, and their road to the National Championship game could not be EASIER. Kentucky and Gonzaga have been in the TOP of College Basketball powers over the last few years and BOTH teams lost to NINE seeds. Kentucky had a really EASY road to the Final Four, but could not hit their Free Throws last night and Sports radio show is going to be CRAZY there today. Gonzaga could not REPEAT their National Championship game appearance from last season, which lines up perfectly for Michigan. Today we have see THREE match ups that has TRADITIONAL powers, while the other game has Purdue and Texas Tech which is the only TWO seed vs THREE seed match up of the tournament. We will see Duke take on Syracuse which is the ONLY match up thus far this year between TWO teams that have won a National Championship in the last TWENTY years. I went with the HIGHER seed in all my picks last night, so OF COURSE I went 1-3, today’s games are almost NO-BRAINERS, so I cannot WAIT how wrong I am today. Have fun with the games today, MORE picks coming for you tomorrow!